VIO ban from Lagos roads is permanent – Gov. 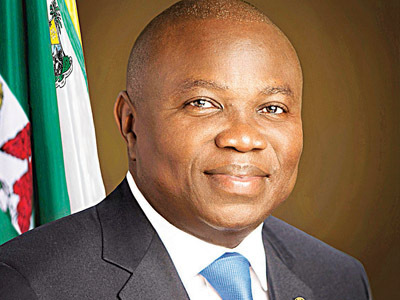 Ambode – Royal Times of Nigeria. The Governor of Lagos State, Governor Akinwunmi Ambode has put the uncertainty concerning the Vehicle Inspection Officers (VIO) been banned off Lagos roads temporarily, stating categorically that he has asked them to stay off the roads permanently. Ambode said this at the commissioning of Pedestrian Bridges, Laybys and Slip Road at Ojodu Berger and segregated bus-park on Tuesday. He said the decisions were in line with his administration’s resolve to ensure free flow of traffic across the State, noting that their activities were contributing to traffic congestion on Lagos roads. The Governor also assured the people that Lagos State will employ technology to track and monitor vehicle registration and MOT certifications and will always ensure that promises made are promises kept. He said;“What we set out to achieve with this project was to ensure smooth flow of traffic along the express, safeguard the lives of our people who had to run across the express and project the image of a truly global city to our visitors. Today, we are delighted that we have not only succeeded in transforming the landscape of this axis but with the slip road, lay bys and pedestrian bridge, we have given a new and pleasant experience to all entering and exiting our State. He said; “If your neighbourhood or community is experiencing traffic challenges, be rest assured that we will soon be there. We will always ensure that promises made are promises kept. We will continue to rely on the support of all segments of the population for regular tax payments, obeying the rule of law and protection of public infrastructure. That is the only way we can progress and achieve our goal of being one of the world’s top centres for business, entertainment and leisure,”.